Rabbi Meir Mazuz, a leading Sephardi-haredi rabbi, spiritual advisor to the religious Yachad party which did not enter the current Knesset, and head of Yeshivat Kissei Rachamim, pointed to Israeli musical sensation Omer Adam's newfound Shabbat observance as the key to his success. Omer Adam has become one of Israel's top pop stars, with a recent concert of his selling 12,000 tickets in under 15 minutes. According to Mazuz, the reason for his popularity was his refusal to perform at a music festival on Hanukkah despite being offered 1 million shekels because he did not want to desecrate Shabbat. "This Omer Adam, he usually gets a million shekels for every concert," said Mazuz. "He agreed to perform, but then found out it was Shabbat. He automatically refused and told them that he observes Shabbat. He said that he would only perform if they would push his performance to after Shabbat." "Because of Omer Adam, they pushed off the entire festival to Saturday night. Now I see that he just sold out his latest concert in four minutes. This is proof that keeping the Shabbat pays," Mazuz added. 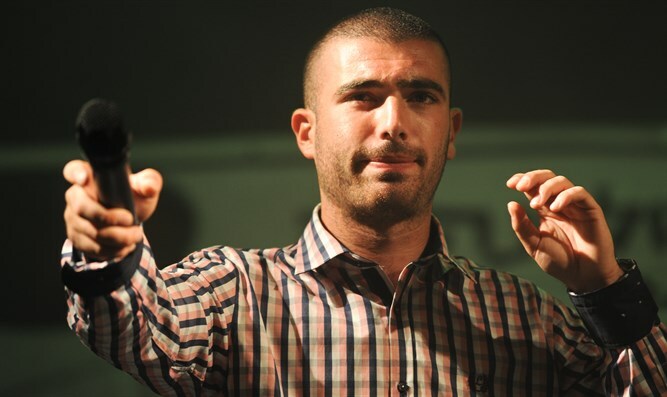 Adam had made waves when it became known that he had refused to perform at the popular Festigal festival because it was scheduled to be on Shabbat. Despite event organizers doubling his salary, Adam reportedly said that "no amount of money will ever cause me to violate Shabbat." A growing number of secular Israeli artists have announced their unwillingness to perform on Shabbat in recent years, including Yuval Dayan, Keren Peles, and Natan Goshen.